1. Everything could be different. 2. It solely depends on you if anything changes. 5. Live resistance as soon as you don't agree. 6. There is plenty of space for you to act. 7. Expand your action space in the area where you are and where you can influence. 9. Beware of failures especially the ones that are caused by you. 10. You're not responsible for the world. 11. How you resist depends on your capabilities. 12. And on what means fun for you. From Harald Welzer: Selbst Denken. 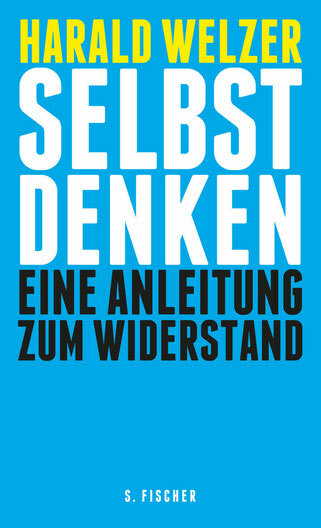 Eine Anleitung zum Widerstand, S. Fischer Verlag, 2015. Another well known and translated book of Harald Welzer is "Climate Wars: What people will be killed for in the 21st century".